Our on-demand print vendor, Alexander’s Print Advantage, has designed two new blitz signs for Help-U-Sell. You can see the designs and order them at www.brandsawonline.com/helpusell. These signs are simple and affordable, so they’re perfect for blanketing a target neighborhood to build brand recognition or to use in conjunction with open house signs. Images of the two versions are below. 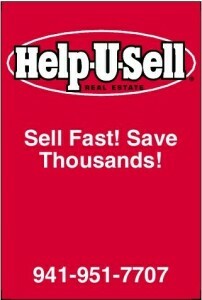 You can customize the new Help-U-Sell Real Estate blitz sign with your text and phone number. Send people directly to your site by using the blitz sign with QR code. Both signs measure 11.5″ x 17.25″ and are made of heavy-stock cardboard that is gloss laminated on both sides. You can order as few as 25 signs for $40, and 100 signs go for $135. On the QR code sign, you can specify the URL that you want the code to link to. You might want to create a URL just for your signs to measure how many responses you signs generate. If you’re targeting a neighborhood, why not link to the search results on your site that feature property listings from that area? 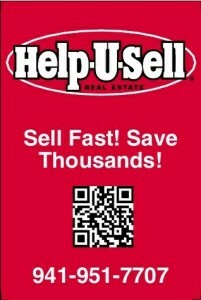 If you’re looking for sellers, consider linking the QR code to the Seller Savings Calculator. Get creative with where you send your potential clients and think about what would resonate most with them. We want to hear your ideas and, if you’ve already used the blitz signs, what your successes were.